Gülsin Onay graduated at the Paris Conservatoire, at the age of 16, winning the prestigious “Premier Prix du Piano”. She won many prizes in top international competitions, including the Marguerite Long-Jacques Thibaud (in Paris) and the Ferruccio Busoni (in Bolzano). 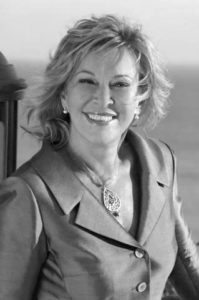 Gülsin Onay's subsequent, truly international career has spanned 68 countries across all continents, from Venezuela to Japan. Gülsin Onay has given concerts in the major musical centers of the world. She holds the titles of State Artist in her native Turkey, and of soloist for the Presidential Symphony Orchestra in Ankara. She is “Artist in Residence” at Bilkent University in Ankara and holds an honorary doctorate degree from Bosphorus University in Istanbul, and from Hacettepe University in Ankara. The Sevda-Cenap Music Foundation awarded its prestigious 2007 Honorary Award Gold Medal to Gülsin Onay, and she was named “Pianist of the Year” in the 2011 Donizetti Classical Music Awards. In 2014 She was awarded the Honorary Medal of the 42nd Istanbul Music Festival.